With Britain having just experienced its hottest July day on record, it’s safe to say that now is the time for cold soups, salads and healthy portions of ice cream. But that doesn’t mean to say that comfort dishes are out the window completely. 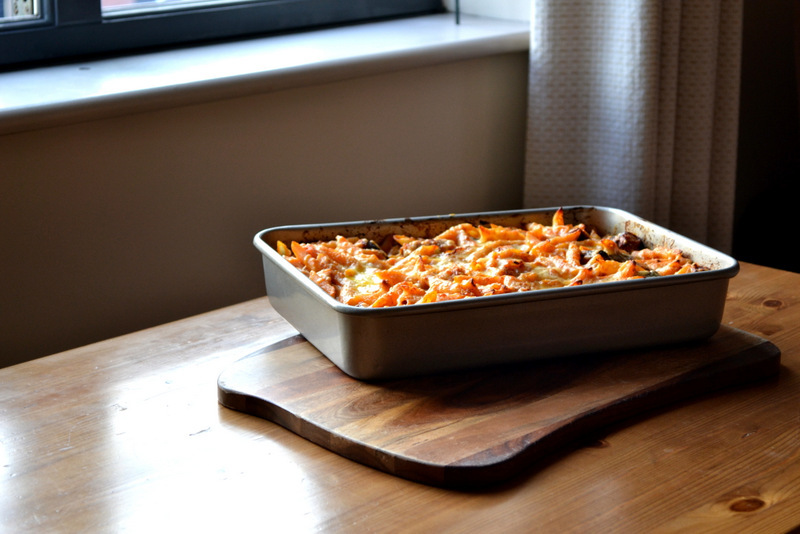 You might not fancy a heavy beef stew, but a Sausage and Butterbean Pasta Bake might just hit the spot. I think we all remember the pasta bakes of our youth. Simple dishes, thrown together by busy mums after a hard day at work/school. They were, of course, delicious. 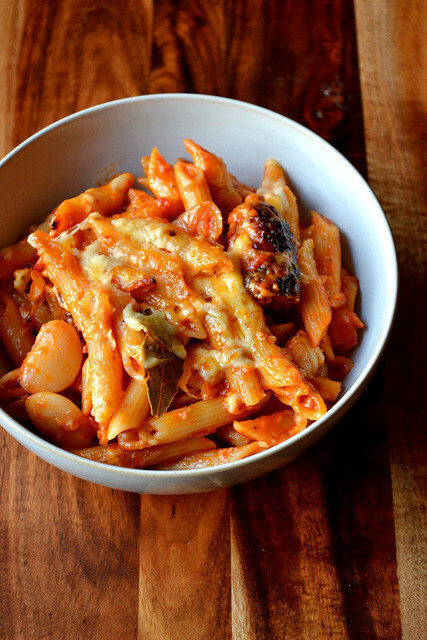 But my sausage and butterbean pasta bake is a recipe with a difference. Flavoured not with a questionable mix of ‘Italian herbs’, but with fragrant bay leaves and fennel, it’s nice to take a different approach to the classic pasta bake. The fennel, in particular, complements the pork sausages beautifully; the combination is, after all, well-known. In fact, if you wanted to use a pork and fennel sausage for the bake, perhaps with a little apple thrown in for added sweetness, that would work beautifully. 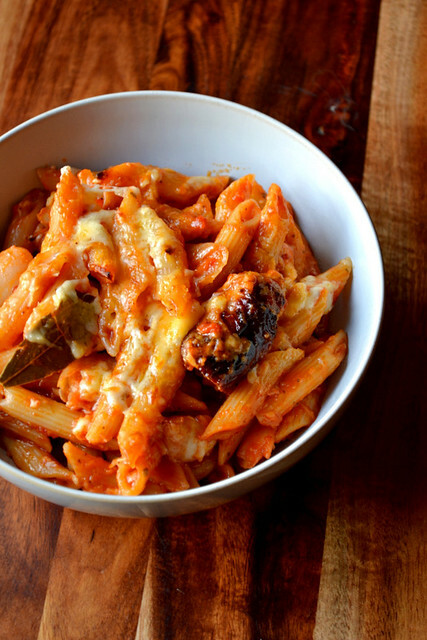 The more flavour you pack into a pasta bake, the better it’ll be. You could even experiment; a spicy lamb sausage would, for instance, add another dimension. Gently fry the onion and garlic in the olive oil. Once softened, add the bay leaves, ground fennel seeds, chopped tomatoes and passata. Pop the lid on and set aside to simmer. Brown the sausages in a heavy-based frying pan and set aside. Put the pasta on to boil in plenty of generously salted water. Chop each sausage into 3-4 pieces and add to the sauce, along with the butterbeans. Season to taste. Drain the pasta once cooked and allow to sit for a few minutes. Meanwhile, preheat the oven to 200C/180C(fan). 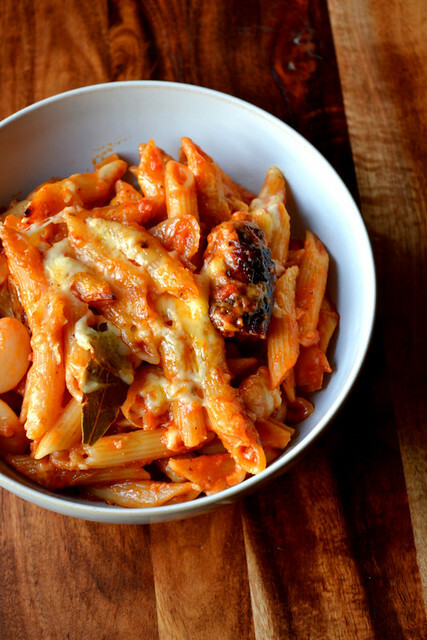 Transfer the pasta to a large oven dish and stir through the prepared sauce. Top with the grated cheddar and bake until golden brown. Serve immediately, or cold the next day. 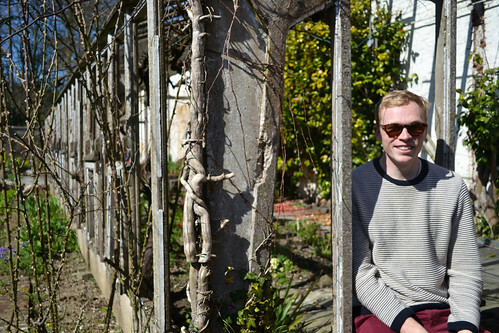 Cost: Recipes for pasta bake are generally known for their frugality and comforting nature. This rendition is no different. Despite being easily enough to feed six, it shouldn’t set you back much more than £5. Less than £1 per portion; not bad for a giant portion of comfort. Yum! 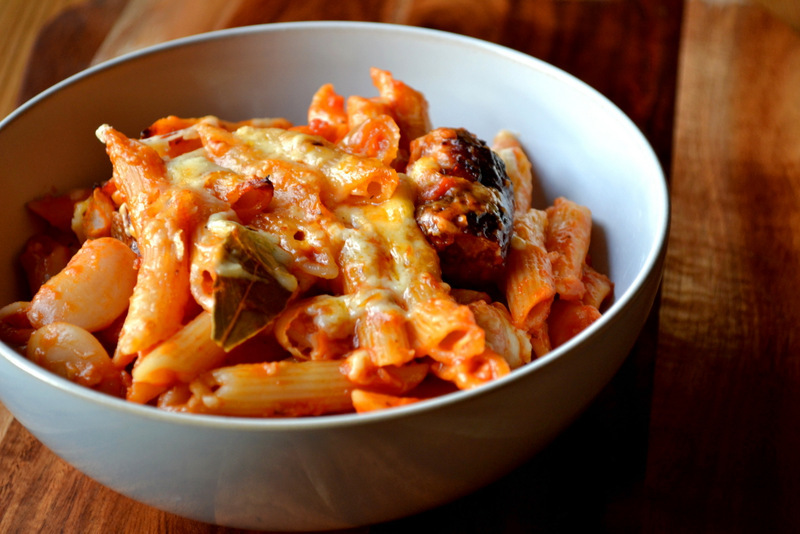 I love sausage and pasta together – It’s real comfort food, even in this hot weather. Exactly! I’ve been eating quite a bit of pasta recently. I love pasta. Thanks for sharing. My pleasure – me too. I’ve eaten plenty of it today.